Dumping diagnostic data in directory=[cdmp_20130605073952], requested by (instance=2, osid=3061 (LMD0)), summary=[incident=412241]. Dumping diagnostic data in directory=[cdmp_20130605074557], requested by (instance=2, osid=3061 (LMD0)), summary=[incident=412242]. Dumping diagnostic data in directory=[cdmp_20130605075244], requested by (instance=2, osid=3061 (LMD0)), summary=[incident=412243]. Dumping diagnostic data in directory=[cdmp_20130605075758], requested by (instance=2, osid=3061 (LMD0)), summary=[incident=412244]. Dumping diagnostic data in directory=[cdmp_20130605080359], requested by (instance=2, osid=3061 (LMD0)), summary=[incident=412245]. Dumping diagnostic data in directory=[cdmp_20130605084240], requested by (instance=2, osid=3061 (LMD0)), summary=[incident=463685]. Dumping diagnostic data in directory=[cdmp_20130605084746], requested by (instance=2, osid=3061 (LMD0)), summary=[incident=463686]. NOTE: ASM client item_1:item disconnected unexpectedly. NOTE: check client alert log. root@bmsb# /usr/sbin/prtconf | grep "Memory size"
CSSD]2012-10-17 23:40:23.955 >USER:    Oracle Database 10g CSS Release 10.2.0.1.0 Production Copyright 1996, 2004 Oracle. All rights reserved. [    CSSD]2012-10-17 23:40:30.080  >TRACE:   clssnmDoSyncUpdate: Sync Complete! [    CSSD]2012-10-17 23:41:35.529  >WARNING: clssgmShutDown: Received explicit shutdown request from client. [    CSSD]2012-10-17 23:41:35.539  >WARNING: clssgmClientShutdown: graceful shutdown completed. In some extreme cases, it may be necessary to disable fatal mode for OPROCD to find a root cause. DO NOT do this in a production environment. This is completely unsupported and could cause data corruption due to lack of I/O fencing. 2. Stop the CRS stack or boot the node in single user mode. 3. Confirm that the CRS stack is down. # Copyright (c) 2001, 2010, Oracle and/or its affiliates. All rights reserved. # init.cssd - Control script for the Oracle CSS daemon. #   directory. It should only be invoked from init.crs. #     No manual invocation of init.cssd is supported on a cluster. #   that should be kept in mind when doing so. #          start, stop, disable and enable. #               data integrity since the other node has evicted us. #               guarantees. So trigger its diagnostic reboot. # VC_UP - Determine whether Vendor clusterware processes are active. #         have died, and we will be forced to use FAST_REBOOT. #         This is also used at startup time for dependency checking. #         an extremely fast check. # CLINFO - Determine whether we are booted in non-cluster mode. #          This call is allowed to take a long time to decide. # GETBOOTID - Returns a string that uniquely identifies this boot. #             and must change the next time the machine boots. # binary should override this below. # over-ridden as needed by a platform. [    CSSD]2012-10-17 23:46:58.959  >TRACE:   clssnmDoSyncUpdate: Sync Complete!
. For details refer to "(:CLSN00107:)" in "/g01/app/oracle/product/11.2.0/grid/log/agent/ohasd/oraagent_grid/oraagent_grid.log". System state dump requested by (instance=2, osid=19095 (PMON)), summary=[abnormal instance termination]. Dumping diagnostic data in directory=[cdmp_20111206061615], requested by (instance=2, osid=19095 (PMON)), summary=[abnormal instance termination]. kjzdattdlm: Can not attach to DLM (LMON up=[TRUE], DB mounted=[FALSE]). LMON (ospid: 15986) tries to kill the instance 2 in 37 seconds. Please check instance 2’s alert log and LMON trace file for more details.
. For details refer to “(:CLSN00107:)” in “/ocw/grid/log/racnode1/agent/ohasd/oraagent_grid/oraagent_grid.log”. > . For details refer to “(:CLSN00107:)” in “/ispiris-qa/app/11.2.0.3/log/racnode1/agent/ohasd/oraagent_grid/oraagent_grid.log”. Link local IP must not be used by any other network on cluster nodes. In this case, an USB network device gets IP 169.254.95.118 from DHCP server which disrupted HAIP routing, and solution is to black list the device in udev from being activated automatically. The solution is to bring up HAIP on all nodes. If HAIP fails to start, refer to note 1210883.1 for known issues. If the “up node” is not using HAIP, and no outage is allowed, the workaround is to set init.ora/spfile parameter cluster_interconnect to the private IP of each node to allow ASM/DB to come up on “down node”. Once a maintenance window is planned, the parameter must be removed to allow HAIP to work. 4.3. Start ora.crsd as root on the node that’s partial up:. The other workaround is to restart GI on the node that’s missing HAIP route with “crsctl stop crs -f” and “crsctl start crs” command as root. [cssd(22096)]CRS-1605:CSSD voting file is online: /dev/mapper/mpath3; details in /g01/app/oracle/product/11.2.0/grid/log/ptdb2/cssd/ocssd.log. [ohasd(20942)]CRS-2765:Resource 'ora.cssdmonitor' has failed on server 'ptdb2'. [/g01/app/oracle/product/11.2.0/grid/bin/oraagent.bin(22334)]CRS-5019:All OCR locations are on ASM disk groups [OCRVOT], and none of these disk groups are mounted. Details are at "(:CLSN00100:)" in "/g01/app/oracle/product/11.2.0/grid/log/ptdb2/agent/ohasd/oraagent_grid/oraagent_grid.log". [/g01/app/oracle/product/11.2.0/grid/bin/orarootagent.bin(22496)]CRS-5016:Process "/g01/app/oracle/product/11.2.0/grid/bin/acfsload" spawned by agent "/g01/app/oracle/product/11.2.0/grid/bin/orarootagent.bin" for action "check" failed: details at "(:CLSN00010:)" in "/g01/app/oracle/product/11.2.0/grid/log/ptdb2/agent/ohasd/orarootagent_root/orarootagent_root.log"
<GRID_HOME>/log/<host>/agent/crsd/orarootagent_root : 启动/停止/检查/清除 GNS, VIP, SCAN VIP and network 等资源. [crsd(21292)]CRS-1012:The OCR service started on node ptdb01. [evmd(21873)]CRS-1401:EVMD started on node ptdb01. [crsd(22023)]CRS-1005:The OCR upgrade was completed. Version has changed from 169870592 to 169870592. Details in /u01/app/oracle/product/10.2.0/crs_1/log/ptdb01/crsd/crsd.log. [crsd(22023)]CRS-1012:The OCR service started on node ptdb01. [evmd(22605)]CRS-1401:EVMD started on node ptdb01. 2012-09-08 18:59:03.781: [    EVMD]0Authorization database built successfully. 2012-09-08 19:04:20.912: [    EVMD]0Authorization database built successfully. 2012-09-08 19:04:21.281: [    EVMD]0Authorization database built successfully. [cssd(13795)]CRS-1601:CSSD Reconfiguration complete. Active nodes are ptdb01 ptdb02 . 3. local listener 接受这个请求 从而创建了一个DB connection. 1. Endpoints_listener.ora file is there for backward compatibility with pre-11.2 databases. 2. DBCA needs to know the endpoints location to configure database parameters and tnsnames.ora file. 3. It used to use the listener.ora file, 11.2 RAC listener.ora by default only has IPC entries. This behavior change is particularly useful for non-cluster aware applications. [cssd(3713)]CRS-1610:Network communication with node rac1 (1) missing for 90% of timeout interval. [cssd(3713)]CRS-1652:Starting clean up of CRSD resources. [cssd(3713)]CRS-1654:Clean up of CRSD resources finished successfully. [cssd(3713)]CRS-1655:CSSD on node rac2 detected a problem and started to shutdown. Prior to 11g R2, during voting disk failures the node will be rebooted to protect the integrity of the cluster. But rebooting cannot be necessarily just the communication issue. The node can be hanging or the IO operation can be hanging so potentially the reboot decision can be the incorrect one. So Oracle Clusterware will fence the node without rebooting. This is a big (and big) achievement and changes in the way the cluster is designed. The reason why we will have to avoid the reboot is that during reboots resources need to re-mastered and the nodes remaining on the cluster should be re-formed. In a big cluster with many numbers of nodes, this can be potentially a very expensive operation so Oracle fences the node by killing the offending process so the cluster will shutdown but the node will not be shutdown. Once the IO path is available or the network heartbeat is available, the cluster will be started again. Be assured the data will be protected but it will be done without any pain rebooting the nodes. But in the cases where the reboot is needed to protect the integrity, the cluster will decide to reboot the node. This article points out the issues surrounding Ethernet Jumbo Frame usage for the Oracle Real Application Cluster (RAC) Interconnect. 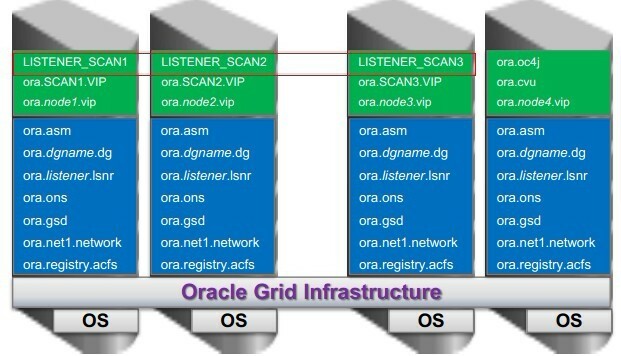 In Oracle Real Application Clusters, the Cluster Interconnect is designed to run on a dedicated, or stand-alone network. 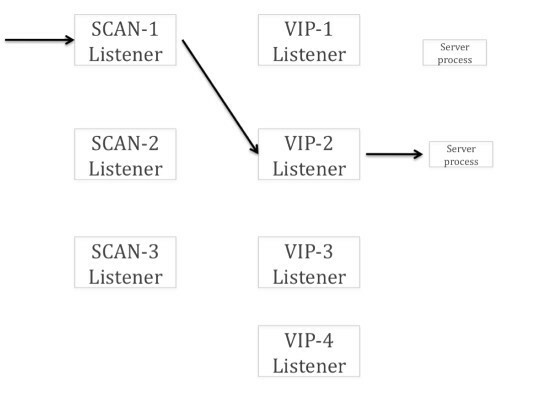 The Interconnect is designed to carry the communication between the nodes in the Cluster needed to check for the Clusters condition and to synchronize the various memory caches used by the database. Ethernet is a widely used networking technology for Cluster Interconnects. Ethernet’s variable frame size of 46-1500 bytes is the transfer unit between the all Ethernet participants, such as the hosts and switches. The upper bound, in this case 1500, is called MTU (Maximum Transmission Unit). When an application sends a message greater than 1500 bytes (MTU), it is fragmented into 1500 byte, or smaller, frames from one end-point to another. In Oracle RAC, the setting of DB_BLOCK_SIZE multiplied by the MULTI_BLOCK_READ_COUNT determines the maximum size of a message for the Global Cache and the PARALLEL_EXECUTION_MESSAGE_SIZE determines the maximum size of a message used in Parallel Query. These message sizes can range from 2K to 64K or more, and hence will get fragmented more so with a lower/default MTU. Jumbo Frames introduces the ability for an Ethernet frame to exceed its IEEE 802 specified Maximum Transfer Unit of 1500 bytes up to a maximum of 9000 bytes. Even though Jumbo Frames is widely available in most NICs and data-center class managed switches it is not an IEEE approved standard. While the benefits are clear, Jumbo Frames interoperability is not guaranteed with some existing networking devices. Though Jumbo Frames can be implemented for private Cluster Interconnects, it requires very careful configuration and testing to realize its benefits. In many cases, failures or inconsistencies can occur due to incorrect setup, bugs in the driver or switch software, which can result in sub-optimal performance and network errors. The host’s network adapter must be configured with a persistent MTU size of 9000 (which will survive reboots). For example, ifconfig -mtu 9000 followed by ifconfig -a to show the setting completed. Certain NIC’s require additional hardware configuration. For example, some Intel NIC’s require special descriptors and buffers to be configured for Jumbo Frames to work properly. The LAN switches must also be properly configured to increase the MTU for Jumbo Frame support. Ensure the changes made are permanent (survives a power cycle) and that both “Jumbo” refer to same size, recommended 9000 (some switches do not support this size). Because of the lack of standards with Jumbo Frames the interoperability between switches can be problematic and requires advanced networking skills to troubleshoot. Remember that the smallest MTU used by any device in a given network path determines the maximum MTU (the MTU ceiling) for all traffic travelling along that path. Failing to properly set these parameters in all nodes of the Cluster and Switches can result in unpredictable errors as well as a degradation in performance. * Note: Due to Oracle Bugzilla 7182 (must have logon privileges) — also known as RedHat Bugzilla 464044 — older than EL4.7 traceroute may not work correctly for this purpose. * Note: Some versions of tracroute, e.g. traceroute 2.0.1 shipped with EL5, add the header size on top of what is specified when using the -F flag (same as ping behavior below). Newer versions of traceroute, like 2.0.14 (shipped with OL6) have the old behavior of traceroute version 1 (size of packet is exactly as what is specified with the -F flag). PING node02-priv (10.10.10.2) 1472(1500) bytes of data. * Note: Ping reports fragmentation errors, due to exceeding the MTU size. For RAC Interconnect traffic, devices correctly configured for Jumbo Frame improves performance by reducing the TCP, UDP, and Ethernet overhead that occurs when large messages have to be broken up into the smaller frames of standard Ethernet. Because one larger packet can be sent, inter-packet latency between various smaller packets is eliminated. The increase in performance is most noticeable in scenarios requiring high throughput and bandwidth and when systems are CPU bound. When using Jumbo Frames, fewer buffer transfers are required which is part of the reduction for fragmentation and reassembly in the IP stack, and thus has an impact in reducing the latency of a an Oracle block transfer. As illustrated in the configuration section, any incorrect setup may prevent instances from starting up or can have a very negative effect on the performance. In some versions of Linux there are specific bugs in Intel’s Ethernet drivers and the UDP code path in conjunction with Jumbo Frames that could affect the performance. Check for and use the latest version of these drivers to be sure you are not running into these older bugs. The following bugzilla bugs 162197, 125122 are limited to RHEL3. There is some complexity involved in configuring Jumbo Frames, which is highly hardware and OS specific. The lack of a specific standard may present OS and hardware bugs. Even with these considerations, Oracle recommends using Jumbo Frames for private Cluster Interconnects. Since there is no official standard for Jumbo Frames, this configuration should be properly load tested by Customers. Any indication of packet loss, socket buffer or DMA overflows, TX and RX error in adapters should be noted and checked with the hardware and operating system vendors. The recommendation in this Note is strictly for Oracle private interconnect only, it does not applies to other NAS or iSCSI vendor tested and validated Jumbo Frames configured networks. Oracle VM does not support Jumbo Frame. Refer Oracle VM: Jumbo Frame on Oracle VM (Doc ID 1166925.1) for further information. This document discusses issues involved in configuring temporary tablespaces for RAC databases. Also provides best practice recommendations in configuring them for optimal performance. Any DW, OLTP or mixed workload application that uses a lot of temp space for temporary tables, sort segments etc, when running low on temp space, lots of sessions would start waiting on ‘SS enqueue’ and ‘DFS lock handle’ waits. This would cause some severe performance issues. This best practice note for temporary tablespace, explains how this works in RAC environment and offer recommendations. Space allocated to one instance is managed in the SGA of that instance, and it is not visible to other instances. Instances do not normally return temp space to the ‘common pool’. If all the temp space is allocated to instances, and there is no more temp space within an instance, user requests for temp space will cause a request for temp space to be sent to the other instances. The session requesting the space will get the ‘SS enqueue’ for the temporary tablespace and issue a cross instance call (using a CI enqueue) to the other instances (waiting for ‘DFS lock handle’). All inter instance temp space requests will serialize on this ‘CI enqueue, and this can be very expensive. A heavy query executing in one instance and using lots of temp space might cause all or most of the temp space to be allocated to this instance. This kind of imbalance will lead to increased contention for temp space. As users on each instance request temp space, space will be allocated to the various instances. During this phase it is possible to get contention on the file space header blocks, and it is recommended to have at least as many temp files as there are instances in the RAC cluster. This normally shows up as ‘buffer busy’ waits and it is different from the ‘SS enqueue’/’DFS lock handle’ wait issue. Temporary tablespace groups are designed to accommodate very large temp space requirements, beyond the current limits for a single temporary tablespace: 8TB (2k block size) to 128TB (32k block size). It is easier to share space within a single temporary tablespace, rather than within a temporary tablespace group. If a session starts allocating temp space from a temporary tablespace within a temporary tablespace group, additional space cannot be allocated from another temporary tablespace within the group. With a single temporary tablespace, a session can allocate space across tempfiles. Make sure enough temp space is configured. Due to the way temp space is managed by instance in RAC, it might be useful to allocate a bit extra space compared to similar single instance database. Isolate heavy or variable temp space users to separate temporary tablespaces. Separating reporting users from OLTP users might be one option. See Bug 4882834 for details. For each temporary tablespace, allocate at least as many temp files as there are instances in the cluster. 1. Use Mutiple Path (MP) disk configuration, may hit this issue. 2. Use EMC device (powerpath**) may hit this issue. But it was not confirmed that these are the only things that can cause this problem to occur, as it has been found that on other hardware and configuration the problem might occur, the key change in this issue is that if the disk size presented from the storage to the cluster nodes are not dividable by 4K the problem should occur. In Most cases when the node is evicted, there is information written to the logs to analyze the cause of the node eviction. However in certain cases this may be missing, the steps documented in this note are to be used for those cases where there is not enough information or no information to diagnose the cause of the eviction for Clusterware versions less than 11gR2 (11.2.0.1). Starting with 11.2.0.1, Customers do not need to set diagwait as the architecture has been changed. When the node is evicted and the node is extremely busy in terms of CPU (or lack of it) it is possible that the OS did not get time to flush the logs/traces to the file system. It may be useful to set diagwait attribute to delay the node reboot to give additional time to the OS to write the traces. This setting will provide more time for diagnostic data to be collected by safely and will NOT increase probability of corruption. After setting diagwait, the Clusterware will wait an additional 10 seconds (Diagwait – reboottime). Customers can unset diagwait by following the steps documented below after fixing their OS scheduling issues. It is important that the clusterware stack must be down on all the nodes when changing diagwait .The following steps provides the step-by-step instructions on setting diagwait. This should return no processes. If there are clusterware processes running and you proceed to the next step, you will corrupt your OCR. Do not continue until the clusterware processes are down on all the nodes of the cluster. Node reachability check passed from node “zhh1”. User equivalence check passed for user “oracle”. User existence check passed for “oracle”. Group existence check failed for “oinstall”. Node connectivity check passed for subnet “192.168.5.0” with node(s) zhh1. Node connectivity check passed for subnet “10.0.0.0” with node(s) zhh1. Package existence check passed for “binutils-2.15.92.0.2-13”. Group existence check passed for “dba”. User existence check passed for “nobody”.